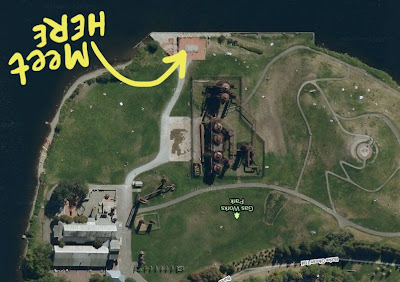 I'm ashamed to admit I've never been to Gas Works Park so I'm just guessing the spot where I pointed the arrow is a good place to meet. I'm proposing meeting a bit earlier this time. How is 10 a.m.? Yes, that's a good spot to meet. Hope to see everyone there! I hope to be there, so does Beth a.k.a. Polusladkaia! Whooo Hoo! I willl be stopping in from Florida! Looking forward to meeting folks!